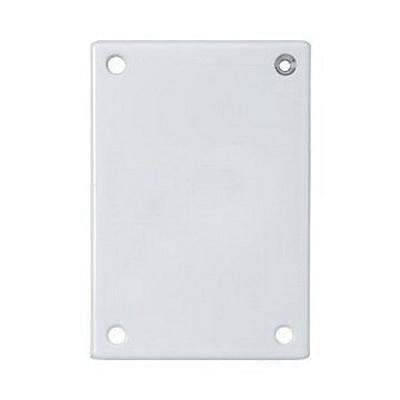 Hubbell-Wiring 1-Gang Rectangle Security blank wallplate in white color, has zinc-plated steel construction with baked polyester powder enamel finish. It measures 3.77-Inch x 5.52-Inch. This 0.55-Inch standard size wallplate has captive screw feature that holds mounting screw in place. Vertical oriented screw mount wallplate withstands temperature rating of -40 to 85 deg C. It is ideal for commercial, industrial and institutional purposes. Wallplate is UL listed and CSA certified.